We hope you are enjoying your Fellowes AeraMax Air Purifier. This video will instruct you on how to replace your True HEPA and carbon filters. First, locate the filter panel on the back of your AeraMax Air Purifier. To open the filter panel, compress the tab on the top then pull the filter panel toward you. If your air purifier is on, you will notice that it will automatically shut off as you pull out the filter panel. Remove and discard any dirty filters. Place the new, clean filters into the air purifier. Be sure to insert the True HEPA filter with AeraSafe anti-microbial treatment first, followed by the carbon filter. You will notice that the arrows on your True HEPA filter point towards the air purifier. To close the panel, fully insert the bottom tabs of your filter panel first, and then push the panel into the air purifier until a click is heard. Your air purifier will automatically turn back on and resume functioning. The next step is to reset the filter indicator light. Make sure the filter panel is snapped into place and the air purifier is on. Locate the filter icons on the display panel. Next, press and hold the filter icons for three to five seconds, until you hear a short beep. At this time, the HEPA filter icon will flash amber. Next, tap the filter icons to alternate between the HEPA and carbon indicator lights. Once the desired filter is illuminated, press and hold for three to five seconds, until you hear a short beep. The indicator light should turn off. Repeat this process for each filter as needed. Under normal usage, Fellowes recommends that the True HEPA filter be replaced every 12 months, and the carbon filter be replaced every three months. Enjoy using your Fellowes AeraMax Air Purifier. It's the maximum protection for the air you breathe. Check out the video for a tutorial on how to change your Fellowes AeraMax Air Purifier True HEPA and carbon filters. 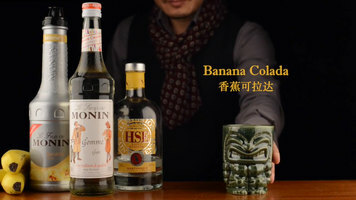 Next time you're looking for a refreshing drink, try a Banana Colada using Monin products! Simple, fresh, and easy, this drink is sure to please! Learn about the various utility carts that Lakeside Manufacturing offers! 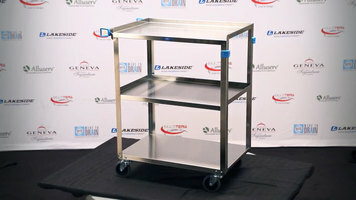 With over a thousand different configurations available in a range of weight capacities, shelf sizes, materials, and styles, Lakeside has a cart to fit your facility's needs. The weekly cleaning procedure for 1300 series Impinger ovens from Lincoln is reviewed. Follow these guidelines to keep the exterior and interior clean.